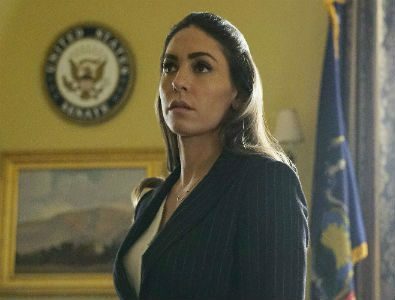 Natalia Cordova-Buckley, best known for her role as Elena “Yo-Yo” Rodriguez on Marvel’s Agents of S.H.I.E.L.D., will be appearing on the final season of Bates Motel, according to Variety. Cordova-Buckley will have a multi-episode arc as Julia Ramos, a high-powered attorney who typically represents members of the drug business. She is sharp and smart in the handling of her cases. Cordova-Buckley currently has a role on Agents of S.H.I.E.L.D. where she has become a fan favorite and even has a spin-off web series on Marvel Digital called Slingshot. She plays an Inhuman with super speed abilities. Her character is strong willed and passionate about what she believes in. Cordova-Buckley has also appeared on a few short films, as well as in McFarland USA alongside Kevin Costner. Tune into the final season of Bates Motel on A&E to see Cordova-Buckley in her new role.